Home >> Featured >> What Is Composting? 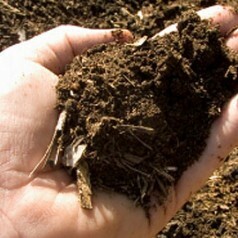 Posted by Eco Champion in Featured, General, Guest Blogs | Comments Off on What Is Composting? Have you ever encountered a property that had such a vibrant flower garden that it stopped you in your tracks for a minute? Maybe a neighbor on your block has a vegetable garden that grows some of the most delicious looking vegetables that you’ve seen in a home garden? Well, it’s likely that the gardeners are passionate about what they’re doing, but it’s also a sure bet they have extremely healthy soil that is helping them out. How can you get that type of soil? Easy! It just takes a little composting know-how. Composting isn’t difficult, and it’s one of the best green family ideas you can get started on because everyone can chip in and it benefits both you and the environment for an ultimate win-win situation, it’s like having gold, but you didn’t have to buy gold. Humans waste a ridiculous amount of food. When you create a compost, you reduce the amount of trash being dumped into landfills hat are already way too full. Instead of throwing the table scraps into the garbage heap, you give nutrients back to the soil which in turn will give nourishment to whatever it is you’re growing. The first thing you’re going to have to do is decide on a place for your compost pile. This can either be in a bin that sits in a corner of your yard, or if you have an area that it inconspicuous, you can simply pile it on the ground. It will decompose all on it’s own. Once you’ve decided on where the compost pile will go, you have to “start piling”. However, it is important to know what goes into a compost pile. The most common reason that people run into trouble is because the they added the wrong items. Basically, there are two types of materials that are great for composting. First, you have wood products which can include wood chips, straw and leaves that will create space throughout the pile that allows air to circulate throughout the pile. Second, there is food and grass material. Fruits, vegetables, grass, and coffee grounds all fit well into a compost as these provide moisture for the bacteria to survive and digest. You can also regularly turn the compost (using a rake or hoe) to be sure it’s getting air and decomposing properly. The compost is ready when it has turned a dark brown color and you do not recognize any of the materials that were added. Now you can use the what’s left over to grow an amazing lawn and/or garden and you helped reduce the size of your local landfills!